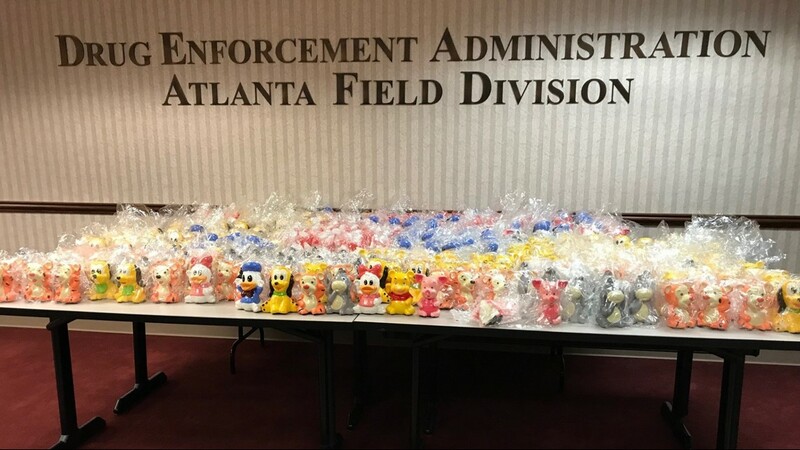 GWINNETT COUNTY, Ga. — It was a stunning drug bust in metro Atlanta as investigators seized $2 million-worth of meth hidden in Disney figurines. The Drug Enforcement Agency made the bust in Gwinnett County. 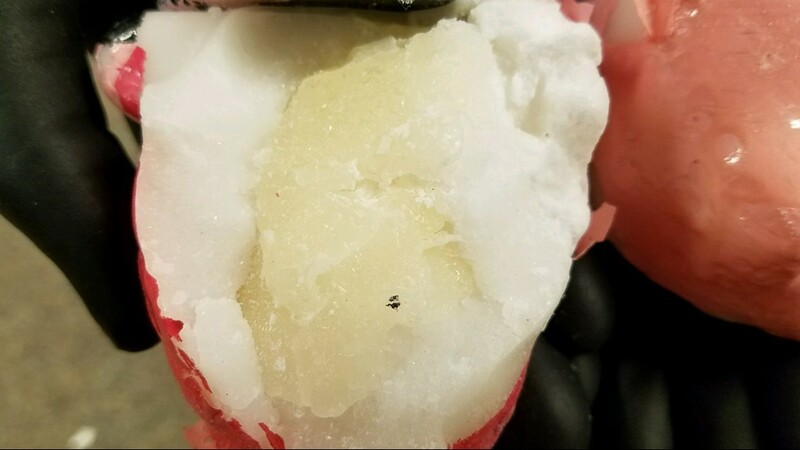 Agents said the meth was coming from Mexico, crossed the border in Laredo, Texas and was destined for the streets of Atlanta. 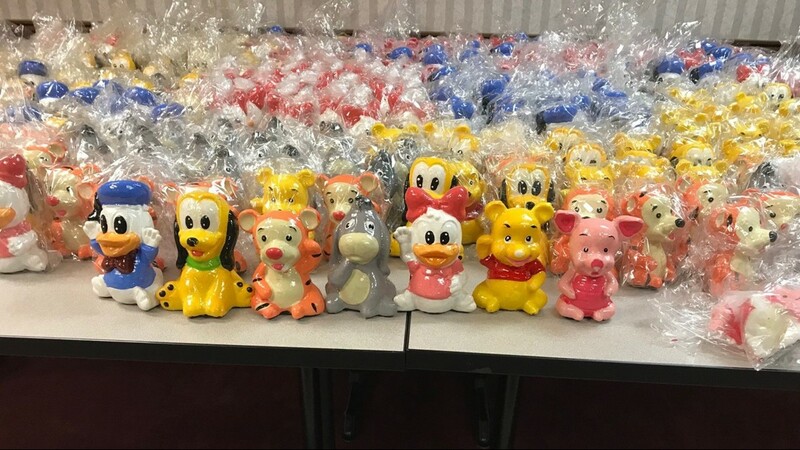 The special agent said each figurine was individually hand painted and shaped into the mold of actual Disney products for sale. 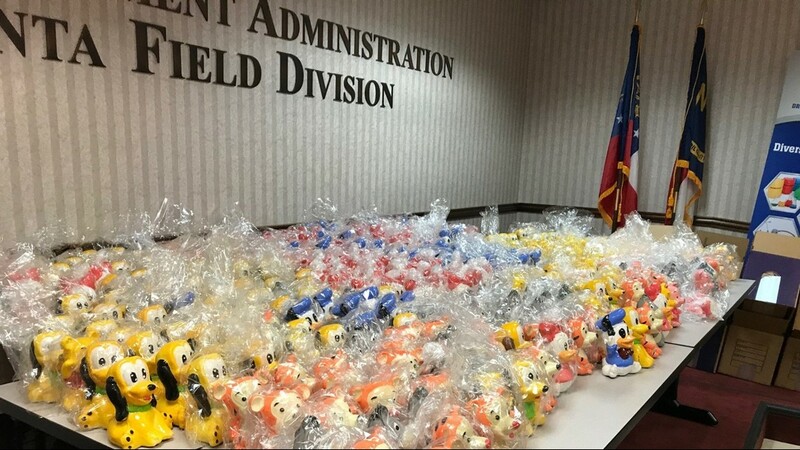 Each figure contained a full pound of full crystal meth. 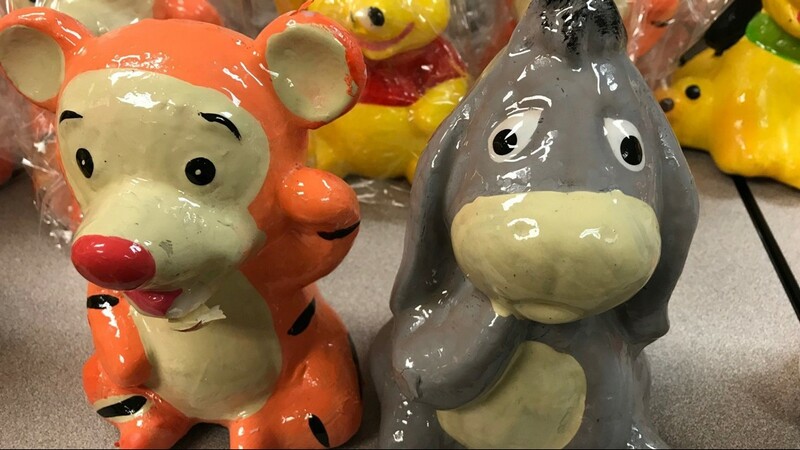 Agents said the alleged drug runners filled wax copies of the Disney figurines with drugs and hid them among actual ceramic figurines, something they said was a sign of a sophisticated operation. "Not only the amount, this is a significant amount anywhere in the U.S.," agents said. 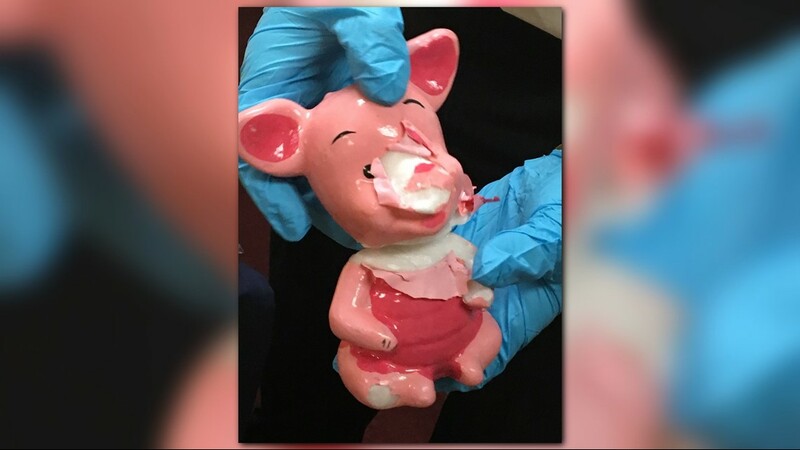 "Five hundred pounds is a lot of methamphetamine to be seized, but the level and the ingenuity that went in to hide this." Agents said "good old fashioned law enforcement" and a traffic stop led them to the drugs onboard a semi. 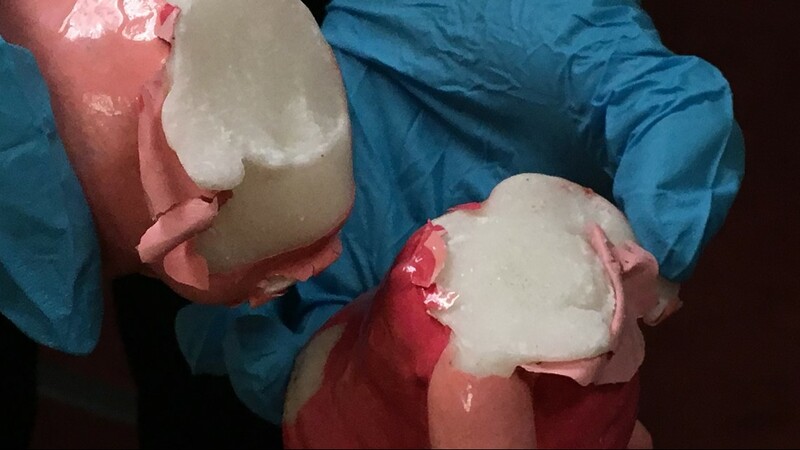 In total, agents seized about $2 million worth of meth. They said they've seen drugs hidden in other things before, but never in anything that's aimed at children. 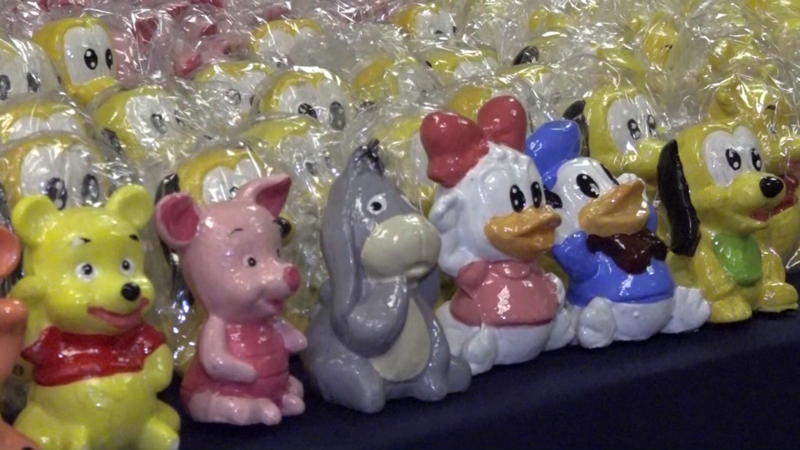 "When you think of Disney products, you think of family innocence, children," agents said. "There's nothing innocent about what's in here. It's poison. It's not only ironic, it's sick that they would use this." Lindsay Bayse contributed to this report.